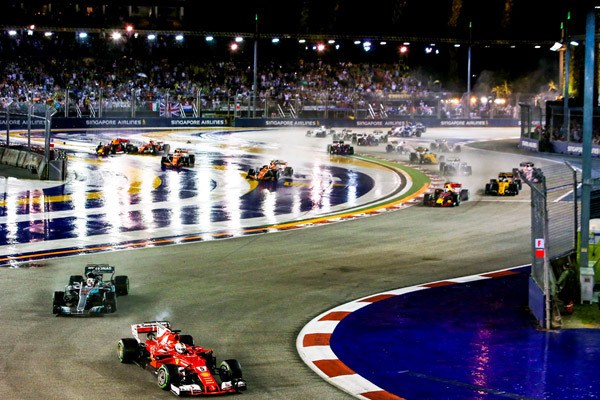 Singapore, 1 November 2017 – Race organiser Singapore GP announced Early Bird ticket prices for the 2018 FORMULA 1 SINGAPORE GRAND PRIX, provisionally scheduled to be held from 14 to 16 September 2018. From now till 8 May 2018, 11 ticket categories will be available for purchase during the Early Bird phase, including the three-day Esplanade Waterfront Grandstand, Zone 4 Walkabout, Pit, Padang and Stamford Combination Packages, single-day Sunday Pit Grandstand as well as single-day Padang Grandstand and Premier Walkabout (from S$128). Tickets for wheelchair-accessible platforms at Turn 1 and Empress Place are also available for sale during the Early Bird phase (from S$38). These categories are in addition to the 12 ticket categories that were launched during the Super Early Bird phase. See Annex 1 for ticket categories and prices. Early Bird tickets for the 2018 FORMULA 1 SINGAPORE GRAND PRIX are available for sale via www.singaporegp.sg, via the ticketing hotline +65 6738 6738 as well as all Singapore GP’s authorised agents.